May in Michigan – a time to celebrate warmer weather, greener scenery and the chance to jump back into outdoor pastimes like birding, biking, fishing and camping. This month also marks another cause for celebration, one that’s vital to the natural resources that make enjoying Michigan’s outdoors possible. May is American Wetlands Month, when organizations around the country celebrate the importance of wetlands to our water resources, wildlife and way of living. Areas where land and water meet, also known as swamps, bogs or marshes, wetlands provide habitat for wildlife and recreation opportunities for hunters, birdwatchers and others. They also play a key role in the health of Michigan’s environment, improving water quality by filtering out pollutants and excess nutrients, replenishing surface and underground drinking water sources, and helping to control flooding by soaking up extra rainwater. 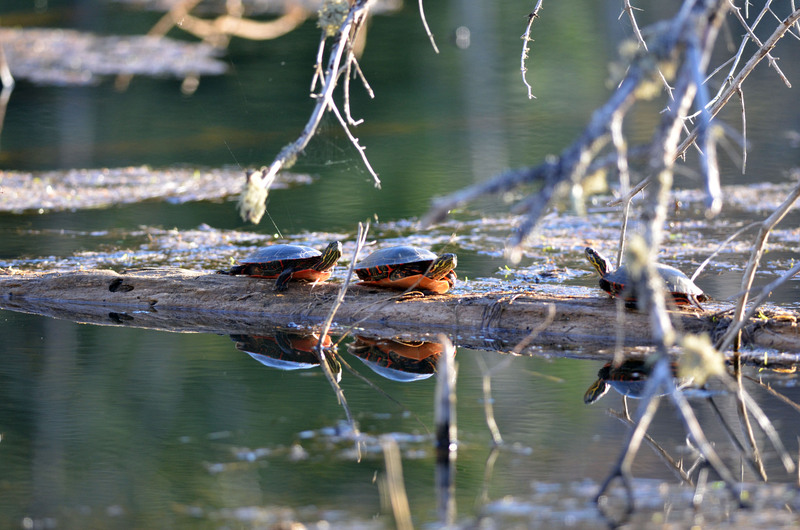 Learn more about wetlands and their value to Michigan’s wildlife, environment and citizens. Although we now recognize wetlands as a vital resource, that wasn’t always the case. Over the last 200 years, more than 4 million acres of wetlands in Michigan have been drained – about half of the wetlands in the state before European settlers arrived. To stem the loss of wetlands, federal law now puts restrictions and conditions on development of wetland property. Sometimes impacts to wetlands are unavoidable in carrying out other important work, such as farming and public infrastructure projects like building roads. That’s where a process called wetland mitigation comes in – creating or restoring wetlands to replace the functions of those that will be lost. Shine explained that mitigation is only considered for a project after wetland impacts have been avoided or minimized. Complying with wetland mitigation requirements – a condition of many state and federal permits issued – can be challenging. “Mitigation construction on a per-project basis can be very complicated, expensive and time-consuming, and public infrastructure projects can be delayed or put on hold due to costly mitigation requirements,” said Stacy Hissong, an attorney specializing in drain law and public projects who works closely with the Michigan Municipal Wetland Alliance. This organization is partnering with the DNR to restore wetland habitat on public lands to offset unavoidable impacts to existing wetlands. Wetland mitigation banking helps make the whole process easier. New wetland areas – or “banks” – are established before development or other projects impact existing wetland areas. Each new acre in an approved wetland mitigation bank represents a bank “credit” – sold to permit holders to satisfy mitigation requirements associated with the permit. “In the past, Michigan municipalities and farmers had few opportunities to utilize wetland mitigation bank credits because their only option was to purchase privately owned credits on the open market. Unfortunately, these private bank credits are not available in some areas of the state, and they can be cost-prohibitive,” Hissong said. 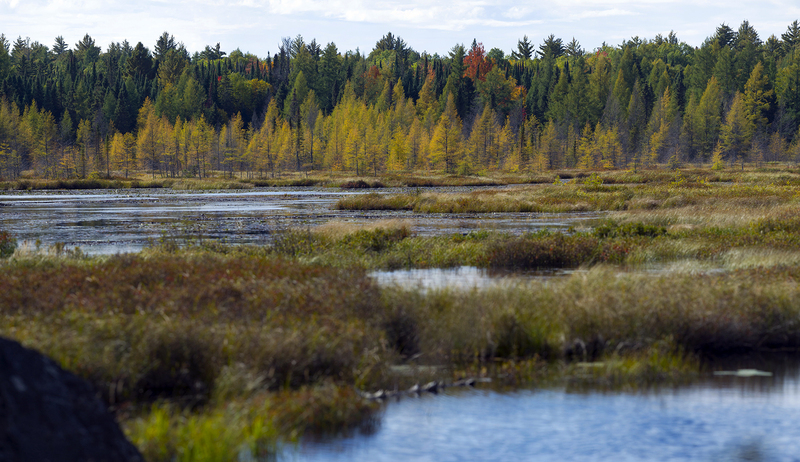 The Michigan Municipal Wetland Alliance offers affordable wetland mitigation bank credit opportunities to Michigan municipalities, as well as agricultural producers and blueberry growers. 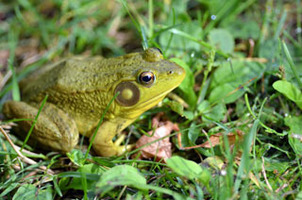 The nonprofit organization is using grant funds from the Michigan Department of Environmental Quality and the DNR to create high-functioning, professionally managed and maintained wetland mitigation banks, encouraging long-term sustainability, high water quality and biologically diverse ecosystems. The public-private partnership between the Alliance and the DNR also helps to make compliance with strict wetland mitigation requirements less complicated, less expensive and less time-consuming for Michigan municipalities. Hissong said that private bank credits cost up to $100,000 per acre credit, but with the DNR’s assistance, the Alliance is able to offer a more affordable cost of up to $30,000 per acre credit for those who need to buy wetland mitigation bank credits. "We are so glad to be a part of the partnership with DNR. It provides a great environmental enhancement while giving our taxpayers up to a $70,000 savings on wetland credits,” said David Thompson, president of the Alliance’s board of directors. “There isn't a downside to this. It just makes sense." Construction is set to begin soon on four new wetland mitigation banks on DNR-managed lands at Allegan State Game Area in Allegan County (52.4 acres), Grand River State Game Area in Ionia County (21.7 acres), Gratiot-Saginaw State Game Area in Gratiot County at (71.6 acres) and Petersburg State Game Area in Monroe County (50 acres). Establishing wetland mitigation bank sites across the state will expedite municipal road, bridge and other infrastructure projects and benefit Michigan’s environment, while restoring wetlands on state-owned land will enhance recreational opportunities for the public. This same wetland habitat that provides excellent hunting locations also attracts a variety of birds that wildlife watchers enjoy. 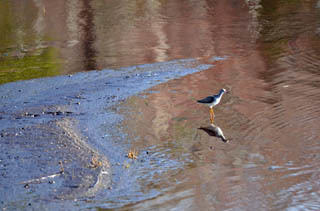 The recreational opportunities wetlands provide are not limited to hunting and birding. Wetlands are valuable for so many reasons, it’s easy to see why we devote a whole month to celebrating them, and wetlands banking is a mechanism that will help us ensure future generations will be able to enjoy them. Learn more about how the DNR manages wetlands on public land. Check out previous Showcasing the DNR stories at www.michigan.gov/dnrstories. Subscribe to future stories at www.mi.gov/dnr. 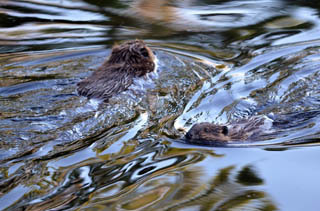 /Note to editors: Media contact: John Pepin, Showcasing the DNR series editor, 906-226-1352. Accompanying photos are available below for download. Caption information follows. Credit Michigan Department of Natural Resources, unless otherwise noted. Birders: Because they attract a wide variety of birds and other wildlife, wetland areas are popular with wildlife watchers and photographers. 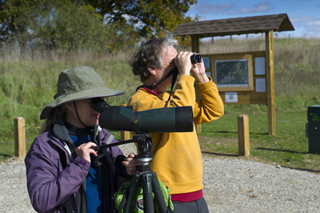 Here, birdwatchers enjoy the view at Watkins Lake State Park and County Preserve near Brooklyn, Michigan. Green: Many wildlife species, like this green frog in Marquette County, flourish in wetland areas. 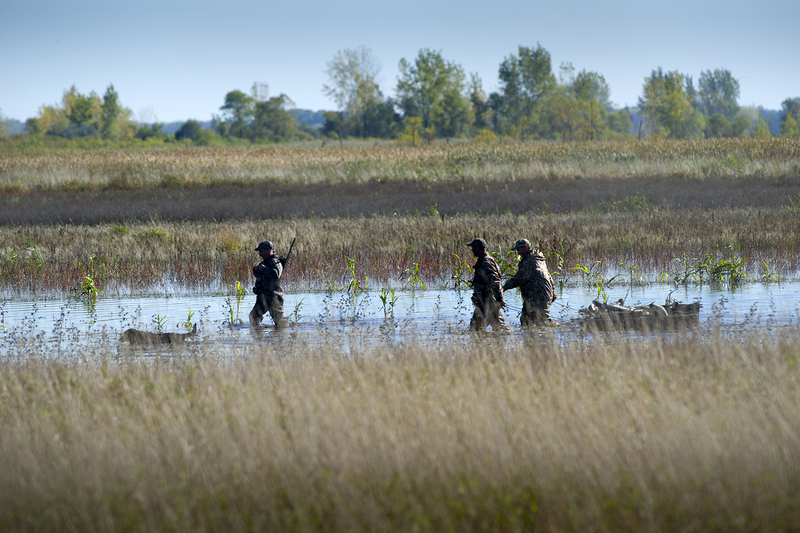 Hunting: The DNR’s involvement in wetland mitigation banking will help restore wetlands on public lands like state game areas, which will benefit waterfowl hunters and other outdoor recreationists. 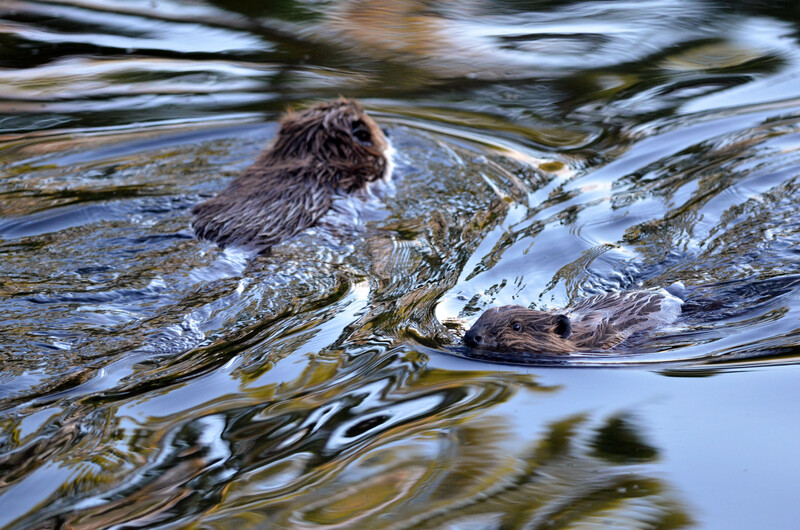 Kits: Beaver kits enjoy playing on an evening swim, one of the attractions visitors to a wetland area might see. 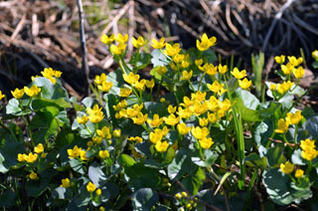 Marsh: Wetland areas are home to beautiful plants like these marsh marigolds, known better to some by their “cowslip” nickname. 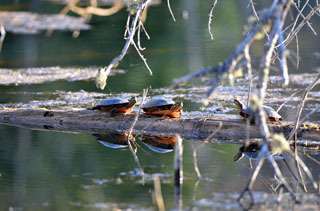 Painted: Painted turtles, one of the many wetland wildlife species, enjoy a late afternoon on a log. 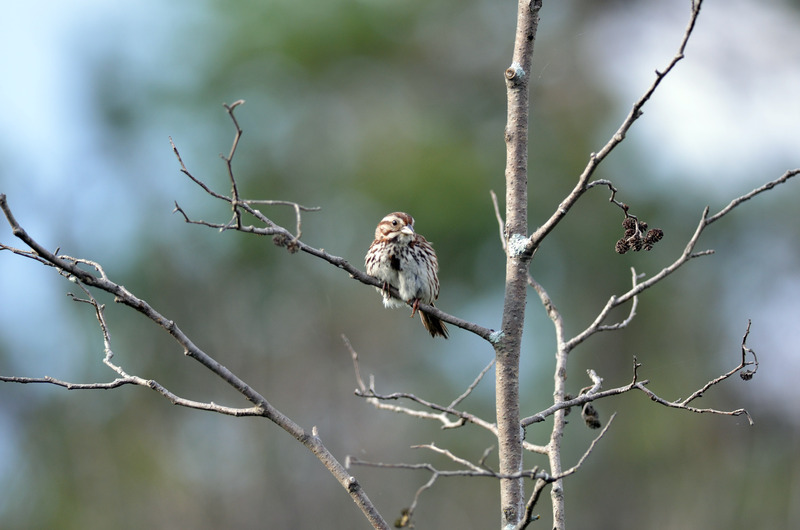 Sparrow: Numerous bird species, like this song sparrow, are found in wetland areas. Wetland: Wetlands, like this area near Craig Lake State Park in Baraga County, play a key role in the health of Michigan’s environment.